I’ve been procrastinating choosing an heir. I wanted to get everyone settled and THEN choose an heir buuttttt I’m impatient. I’ve been waiting for so long that I knew it was time to take action! Kendrick and Sami exchanged their vows on a whim in the computer room with the whole family watching. How sweet. They celebrated with a ride in the rocket to get a bun in the oven and off they went! They took Tomio and Tsuneo with them just to make it a little easier on the house for a few days. Those boys certainly aren’t settled so they’ll be back before I ship them off for good. In Kaori’s world, things were progressing for her aspiration. She finally finished her fourth written song so she was able to move on to the last leg: mentoring. Having reached level ten just a short while before, she had to find a willing subject… Ah, Cecil would do. He gave up pretty easily, though. Her next special case was Kendrick. Her reaction to him was quite a bit worse but he didn’t give up easily. Good. She finished that one and knocked it out of the park! Congratulations, Kaori! 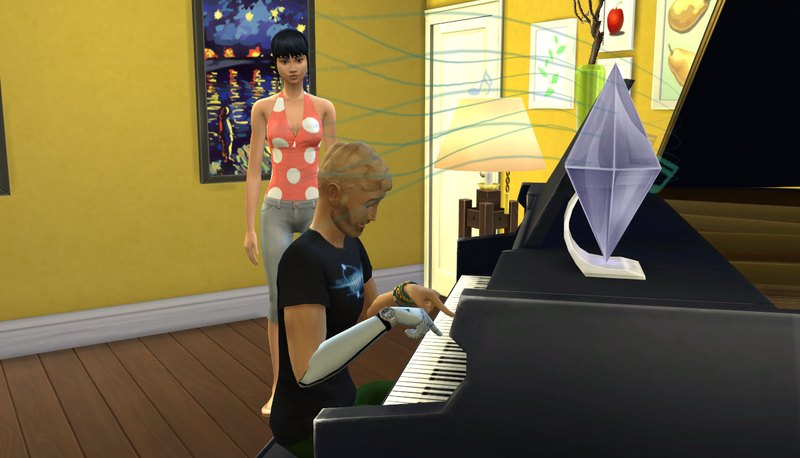 She took the liberty of finishing mansion baron in a pop and then decided on her next aspiration… Hmm… After musing on it she decided to try the soulmate aspiration. 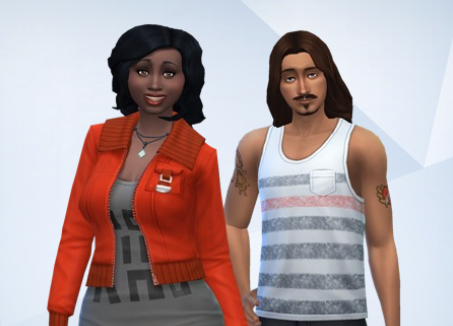 Malik’s aspiration was curator and, since that’s not my favorite one, I decided to have him choose soulmate with his fianceé. First step: become best friends. Piece of cake! Step two: DATE! 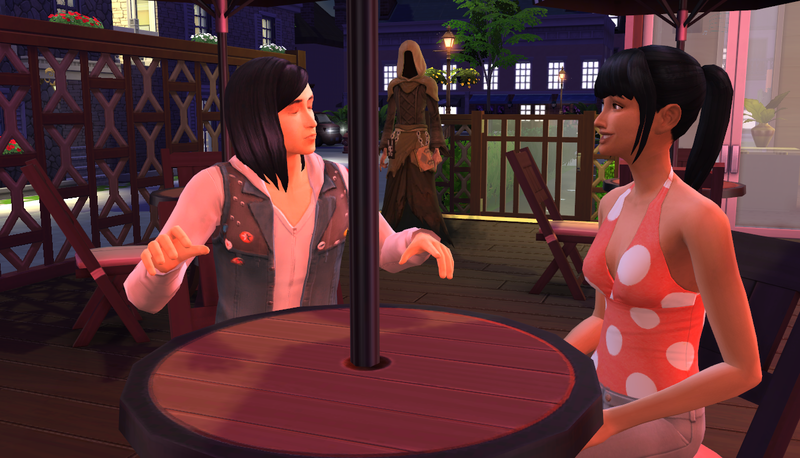 Let’s be real, we don’t have time for dates in this legacy. I also said I was going to finish this legacy two months ago. As if. 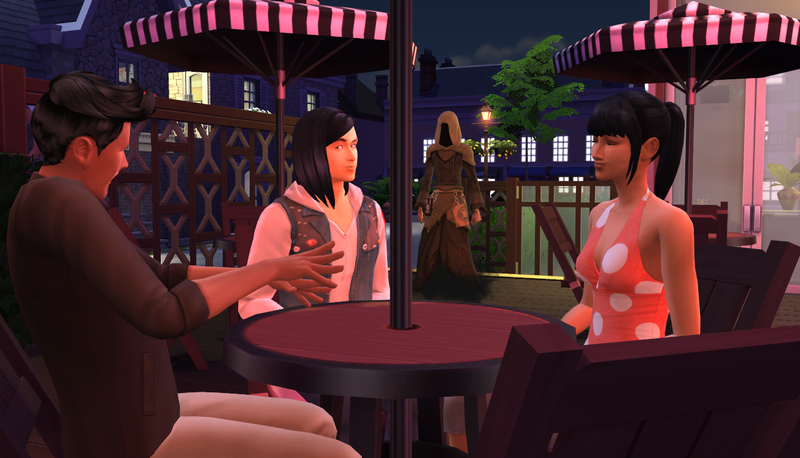 They went to the new club I added ages ago and sat down to chat for a while. SUPER easy. Then this dude sat down (I think he’s maybe their current maid?). 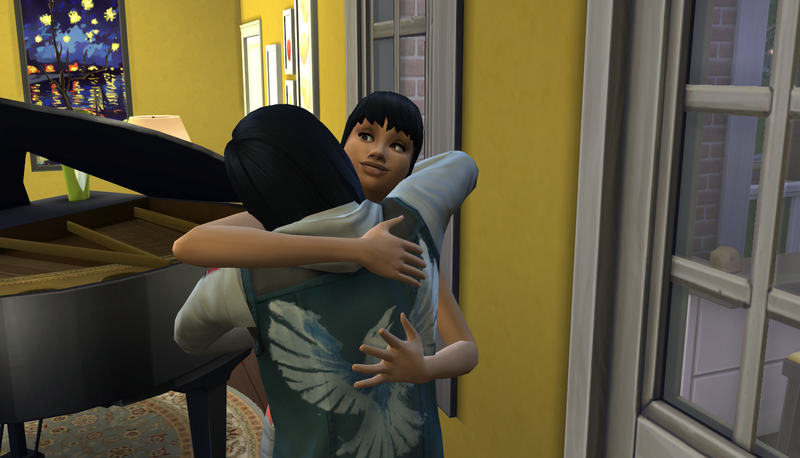 Kaori was good-natured about their visitor but Malik was less than thrilled. He didn’t even know them. Malik rudely introduced himself and said goodbye. Poor guy got the hint. Once they had their gold medal (it only took a fraction of the date), Malik swooped in for a big kiss! Later on at home, I noticed a new option for Kaori and Malik: become partners in crime. I didn’t know adults could pull pranks! Yesss! Kaori must have developed the mischief skill from all her autonomous trolling on the forums (you’re great, Kaori…) She’s not even MEAN! I don’t get you, girl. These two. I like them. 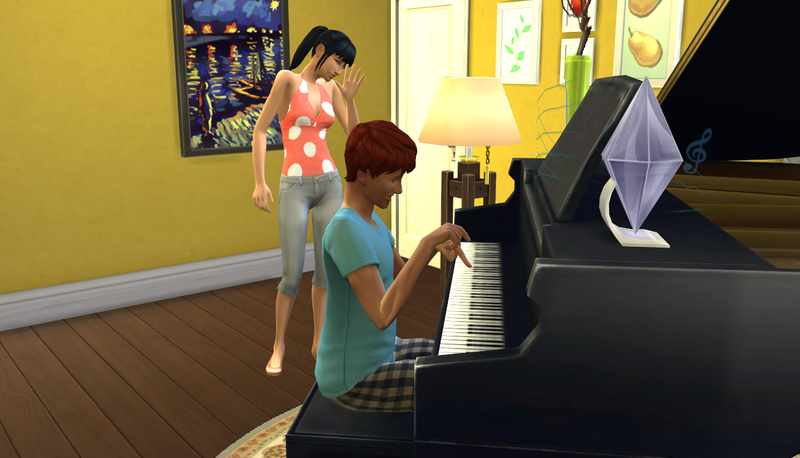 It’s been a while since there’s been a kid in the house and Kaori and Malik have been putting off their marriage. Kaori’s almost an adult! We’ve waited this long before but maybe it’s time for this childish heir to have her own. Hey, she wanted to play with the dollhouse – I let her! 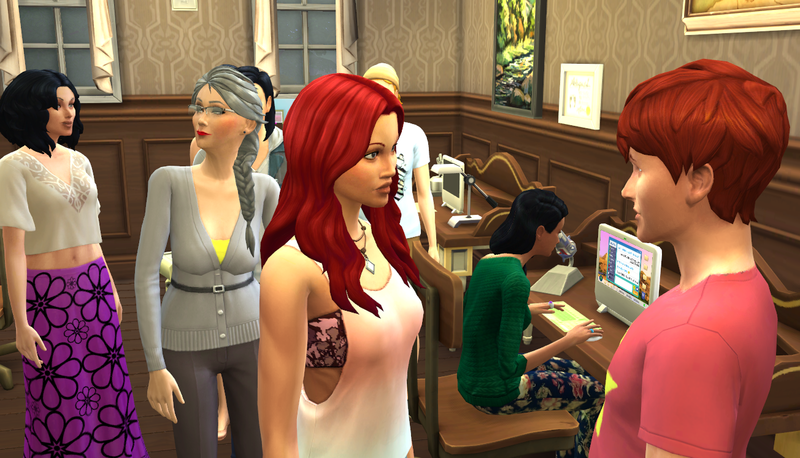 ← Chapter 72: Twins Galore!